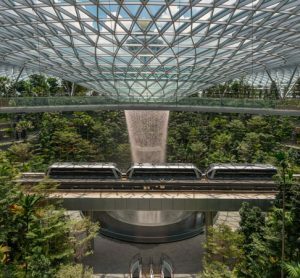 How do you envisage automation in the airport industry progressing in the future? The continued growth of the aviation industry presents large-scale challenges in developing the required infrastructure. Europe in particular will have insufficient airport infrastructure. This means that European airports must be proactive in outlining an appropriate strategy on innovation and automation. We’re expecting further integration of airport processes, additional implementation of intelligent software and increased focus on asset management. Over the coming years, we will concentrate on designing solutions for logistic process automation that facilitate the efficient and smooth transit of both passengers and luggage, and to optimise the experience for all travellers. How has the advent of automation in passenger processing affected airport operations? 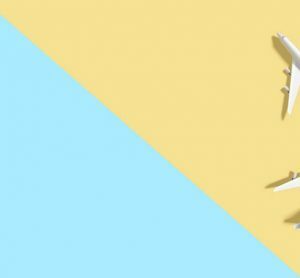 As worldwide passenger volumes continue to grow, airports will need to optimise their offer to attract airlines and facilitate more flights with shorter connection times. These developments increase the relevance of Vanderlande’s automated passenger checkpoints and high-capacity, full track-and-trace baggage handling systems. 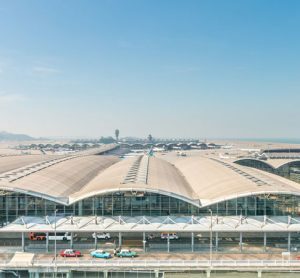 In recent years, there has also been a growing focus on asset management and improving the passenger experience at airports. For Vanderlande this has meant widening our scope to include passenger security solutions and focusing on high-level controls, such as our VIBES software. SCANNOJET is the world’s most advanced automated passenger checkpoint for the screening of passengers and their hand baggage in airports or other secured areas. It is available in several different configurations and options, which means it can adapt to any environment or aesthetic requirements. SCANNOJET has been designed to achieve the highest screening capacity, provide a constant flow of passengers, and offer an outstanding level of security and ergonomics. The system guarantees an excellent passenger experience throughout the checkpoint. Ultimately, the security process is less stressful, more straightforward and comfortable for travellers. What are the benefits of an automated passenger screening point? SCANNOJET provides a unique checkpoint experience and delivers the highest screening capacity. In addition, it ensures a constant flow of passengers, and offers an outstanding level of security and ergonomics. A flexible and modular concept, it improves screening quality, enhances the passenger experience by reducing waiting times, and delivers and collects trays automatically. The system is also easy to install, and can be upgraded with additional functions at any stage. SCANNOJET offers a number of benefits including: high passenger throughput; increased security; reduced costs; and enhanced passenger experience. 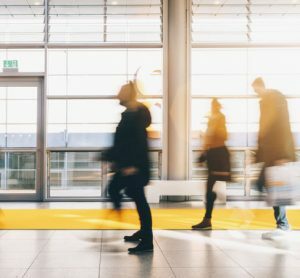 Why is it important for airports to pay particular attention to the passenger experience when deploying new technologies? Airports face ever-increasing passenger traffic. Tight security requirements also have an effect on passenger flows. Safety and security is the first priority for airport operators, but it is also important that the passenger’s experience is a pleasant one. SCANNOJET transforms the environment at security checkpoints, helping airports to meet these challenges. It achieves a perfect balance between providing passengers with a smooth, more relaxed journey to the departure gate, and offering higher security levels. In addition, SCANNOJET helps to reduce operational costs through the use of remote screening software. 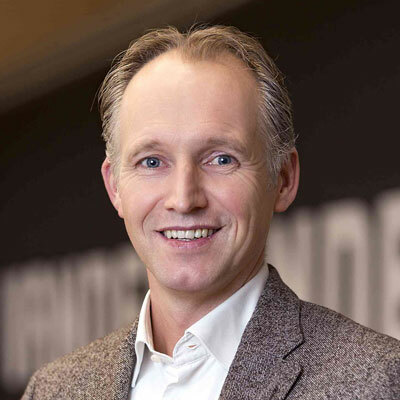 Mark Lakerveld is responsible for defining the global market situation and developing the strategy for Vanderlande’s market segments within the Business Unit Airports. His responsibilities cover Market & Business Intelligence, leading the international group to guide the R&D roadmap, owning Customer Satisfaction Program, driving improvement programs. All in close cooperation and aligned with the international Customer Centres, Sales, Operations and external partners and industry bodies. Mark started his professional career at Schiphol Group in 1998 and was appointed Senior Manager Baggage in 2009. Within the Aviation business unit he carried the overall responsibility for baggage at Amsterdam Airport Schiphol, including daily 24/7 operations, projects, asset management, capacity management, logistics and innovation.